Sniffling, sneezing, and coughing are unwelcome during the winter months, but catching a cold seems particularly unfair when it's 80 degrees out and you should be outside having fun. Colds can be caused by more than 200 different viruses, and some bugs occur more frequently in the summer. While a winter cold typically lasts for about a week, a summer cold can linger for weeks, and just when you think it's gone, it's back with a vengeance. Many people mistake a summer cold for allergies because it doesn't seem to go away. If your eyelids are puffy and your nose and ears feel itchy, those symptoms point to allergies. Summer colds will have typical cold symptoms -- coughing, sneezing, and a congested or runny nose -- but may also have more severe, flu-like symptoms like a fever, achiness, and diarrhea. One summer-specific condition that makes us more susceptible to catching a cold is moving between the warm outdoors and air-conditioned spaces. Constant exposure to recirculated air can dry out the lining of the nostrils, giving viruses the perfect opportunity to take hold. Traveling by plane to a vacation destination also makes us more vulnerable. The best way to prevent a summer cold is advice you've heard before: wash your hands often and with soap. Keep your immune system in fighting form by staying hydrated, getting plenty of sleep, and eating a nutrient-rich diet full of fresh fruits, vegetables, whole grains, and lean protein. Cut out the sugar, which weakens the immune system. Eating or drinking just 100 grams of sugar, the equivalent of about two cans of soda, can reduce the ability of white blood cells to kill germs by 40 percent. A high-quality multivitamin will provide a good nutritional foundation, and extra vitamin C will help keep your immune system strong and ready to defend against viruses. Vitamin C is vital for proper immune function, and studies find that taking vitamin C preventively can help reduce the number of colds you catch in a year. If you do catch a cold this summer, vitamin C can help reduce the severity and duration, which is particularly welcome during this time of year. 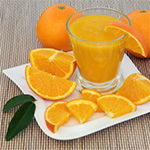 Keep vitamin C on hand year-round, not just in the winter. With a well-equipped immune system, you don't have to be sidelined by a summer cold.